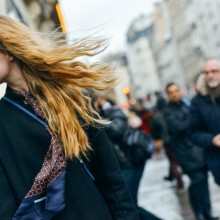 I fear that I may be a tad premature, but I sense that Spring is on its way, which means I can finally abandon the shackles of my winter woolies in favour of lighter fabrics and colours – hooray! What better way to start your spring dressing than from your feet up, so here you have my top picks of the best pastel coloured footwear in this season’s feminine tones. 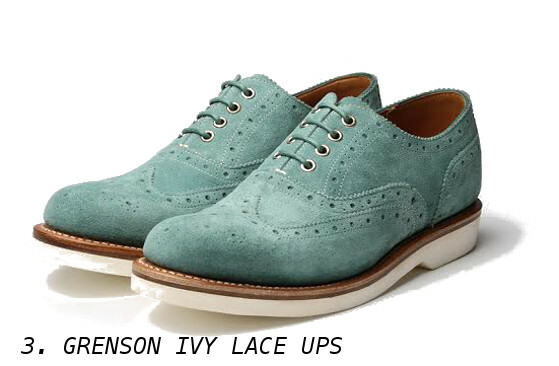 Whistles is one of my high street favourites at the moment, and these brogues are a perfect example of why. They cost £135 and are available to buy here. 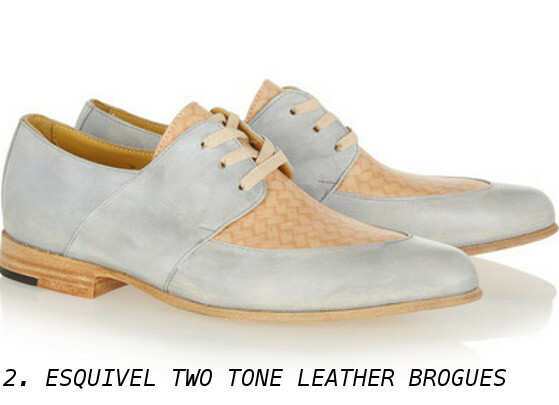 Known for boyish brogues and statement jazz flats, Esquivel is a favourite with our state side neighbours. These gorgeous two tone pair cost £475 available to buy here. It’s no secret that I adore British heritage brand Grenson, and I’m excited to report that they are opening a new store on Lambs Conduit Street in London where you can now shop the complete Grenson girls range. These cost £210 and are available for purchase here. 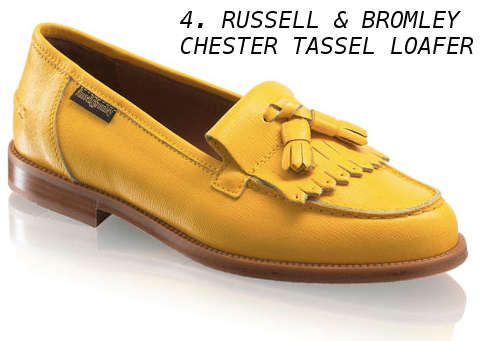 British heritage favourite, Russell & Bromley are so very accomplished at creating gorgeous loafers, and for SS14 they’ve introduced a beautiful selection in pastel shades. These yellow ones cost £165 and are available for purchase here. 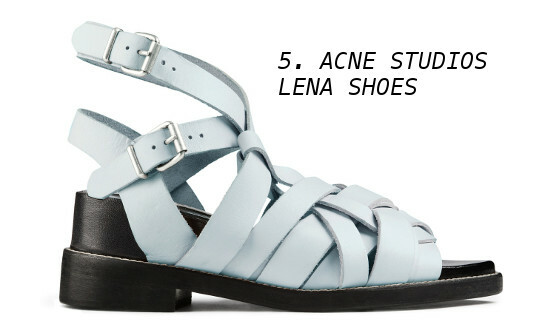 I couldn’t do a post without throwing in a Scandi brand thrown in for good measure, and who better to represent the Nordics than ACNE. These gorgeous pale blue sandals cost £394 and are available for purchase here. 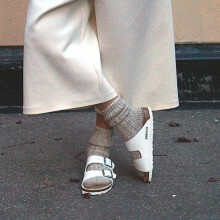 The world has gone made for Birkenstocks and this pair in bright green are ideal for embracing the trend. They cost £65 and are available for purchase here. 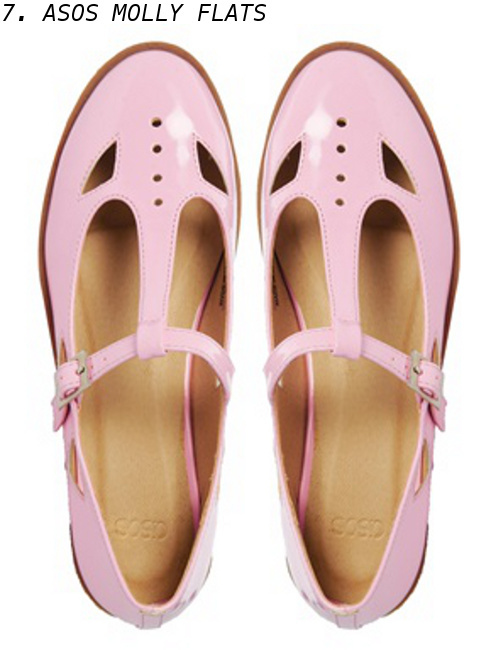 Ultra girly, these candy coloured ASOS flats are ideal for pairing with socks for a school girl vibe. They cost £22 and are available for purchase here. Tabitha Simmons’ shoe range is all handmade in Italy, and for this season she has introduced a beautiful range of pointed toe flats named after her friend Alexa Chung – who else? The Alexa’s cost £445 and are available for purchase here. I´ve just found your blog and I find it quite interesting and cool! would you check my fashion VIDEOBLOG, maybe we could follow each other? if so, just leave me a comment to let me know you followed me and I´ll do the same! I love all of these shoes! I’m 5’11” so finding unique flats are a must for me. Thanks for sharing!